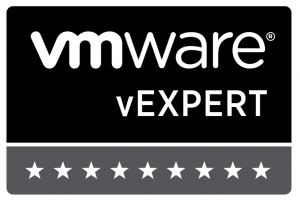 For anyone who hasn’t been to one before, VMUGs (VMware User Groups or Virtual Machine User Groups depending on who you ask) are regular meetings of virtualisation users held around the world. I’m a regular attender of the London VMUG (Twitter: @LonVMUG or hashtag #LonVMUG) and have been for a few years now. For a while now though there have been rumours of a UK-wide VMUG and it’s happening for the first time on Thursday 3rd November 2011 in Birmingham. Within the UK there are three regular VMUGs that I’m aware of: London, Northern and Scottish. This UKVMUG is intended to bring users from those three and from across the country to one location for a day. And what it day it looks like being! VMUGs recently have started experimenting with having two or more “tracks” running at the same time allowing attendees to pick and choose different sessions throughout the day. The most recent London VMUGs have had two tracks but the UKVMUG will have up to four. Lots to pick from! Add to that the opportunity to meet and chat with some of the brightest and well connected brains in the business. It’s a learning and networking opportunity not to be missed – and it’s free to register. Just take a look at the agenda! The nearest train station is “Birmingham International”. And if you happen to be nearby the night before, Veeam are laying on vCurry from 7pm the night before.